Larry DeAngelis | Performance Methods Inc. In his 20 years at Sunoco a Northeast petroleum refining and marketing company he held positions of increasing responsibility including Assistant Treasurer, General Credit Manager, Manager of Performance Analysis and Manager of Company Operations. As Manager of Company Operations he directed the operations of 450 company operated convenience store facilities encompassing over 3500 employees. In this leadership role he was directly responsible for Finance, Human Resources, Contract Administration and Field Operations. In 1997 Larry leveraged his Oil & Gas experience into the Enterprise Software Applications business with SAP America where he joined SAP as Industry Segment Manager. In this role he was responsible for the positioning and development of the Service Station Retailing solution for the Oil & Gas industry vertical at SAP. He was appointed to Vice President of Partners and Solutions for Process Industries in 1999. In this capacity he led a team of solutions architects and software engineers responsible for demo system development and value based positioning of SAP process manufacturing software solutions. In 2000 he was appointed to Vice President Field Operations with responsibility for all sales and consulting services for East Coast Process Industries. He was promoted to Senior Vice President Field Operations for the Northeast Manufacturing sector of SAP in 2001. 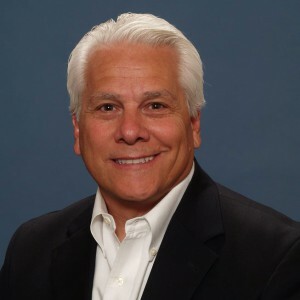 Following his role at SAP America, Larry held executive sales leadership positions at Decision One, a privately held technology services deployment company, and later at Peoplesoft, Inc., where as Vice President of Financial Vertical Sales he led the product launch and field deployment of software applications covering Sarbanes-Oxley solutions for Fortune 500 companies. Larry holds a B.S. degree in Business Administration and an MBA from Widener University and resides with his family near Philadelphia, PA.